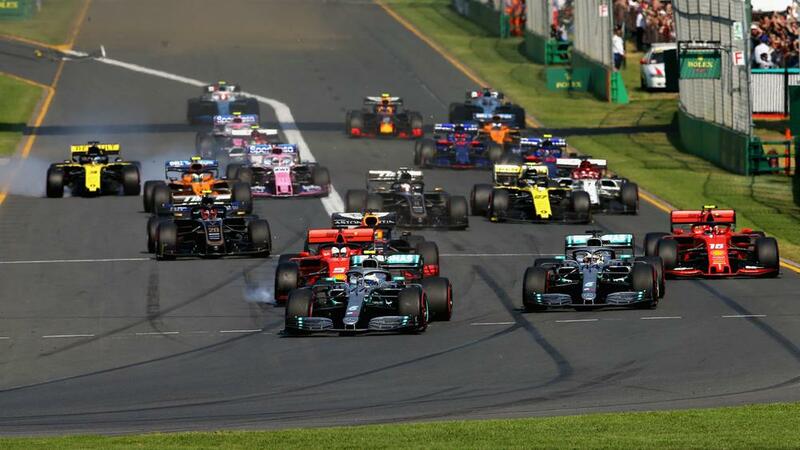 Valtteri Bottas beat Mercedes teammate and reigning Formula One world champion Lewis Hamilton to victory in the season-opening Australian Grand Prix on Sunday. Hamilton qualified on pole in Melbourne for the sixth straight year but was overtaken into turn one and was unable to keep up with Bottas, who ended a wait for a win that stretched back to the 2017 Abu Dhabi Grand Prix. Max Verstappen put pressure on Hamilton in the closing stages but had to settle for third after passing Sebastian Vettel on lap 31. The Mercedes duo expressed their surprise after locking out the front row in comfortable fashion on Saturday and it was unlikely either of them expected Bottas to run away with the win. The Finn made full use of the open road in front of him following the first corner and he somehow continued to outpace Hamilton and Vettel after they pitted for fresh tires. Hamilton complained he was struggling to manage the medium compound around the midway point and Bottas, who took the bonus point for posting fastest lap, continued to eke time out of his team-mate. While Hamilton became preoccupied with Verstappen, whose attempts to steal second were hindered by going off track, Bottas was able to take the chequered flag six years to the day since his F1 debut. Mercedes chief Toto Wolff outline that Bottas had to perform at a higher level in 2019 in order to retain his seat for another season and the 29-year-old set about doing that as quickly as possible. Finishing over 20 seconds ahead of Hamilton showed he means business this year, but the challenge now will be for him to maintain it across the next 20 races. Ferrari were thought to be leading the way after preseason testing in Barcelona, but Vettel admitted the car was struggling in corners during qualifying. After Verstappen overtook him for the final step on the podium and teammate Charles Leclerc started to close in, Vettel said over team radio: "Why are we so slow?" It is a question the four-time world champion will be hoping Ferrari find the answer to it quickly. Daniel Ricciardo had not even reached the first corner of his home grand prix on his Renault debut when he was squeezed off the track and ended up losing his front wing. The Australian managed to guide his car back to the pits but returned at the back of the field and had to retire after being lapped by Bottas before the halfway mark.